Edinburgh Studio Orchestra came into being around 1949, as an evening class under the auspices of Edinburgh City Council. 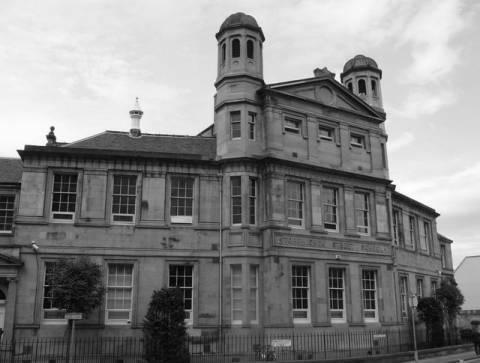 It was a string orchestra and met on Monday evenings in Torphichen Street School, under the direction of Dr. John Fairbairn of Edinburgh University music department. Philip Heywood, the present leader, joined in 1952; the leader from 1953 to 1987 was Kitty Fraser. There were 50-60 players at that time (Philip can remember a season when there were 14 violas!). We played complex pieces such as Tippett’s Concerto for Double String Orchestra as well as the standard repertoire. In the mid-fifties the orchestra evolved into a full symphony orchestra, hiring music from the Reid Library at the University. John Fairbairn retired in 1970 and in the spring term the orchestra played all nine symphonies by Beethoven, whose bicentenary year it was. The orchestra has since been conducted by Christopher Longuet-Higgins, Alastair Mitchell, Michael Beeston, Philip Greene and – presently – Leon Coates.